Mechanical tests at room temperature or cryogenic temperature: 77 K (liquid nitrogen) and 4.2 K (liquid helium). Determination of the mechanical characteristics (elasticity modulus, elastic limit, breaking load and stretch, fragility) of metal and composite materials, study of assembly behavior (bending, traction, compression and slippage). 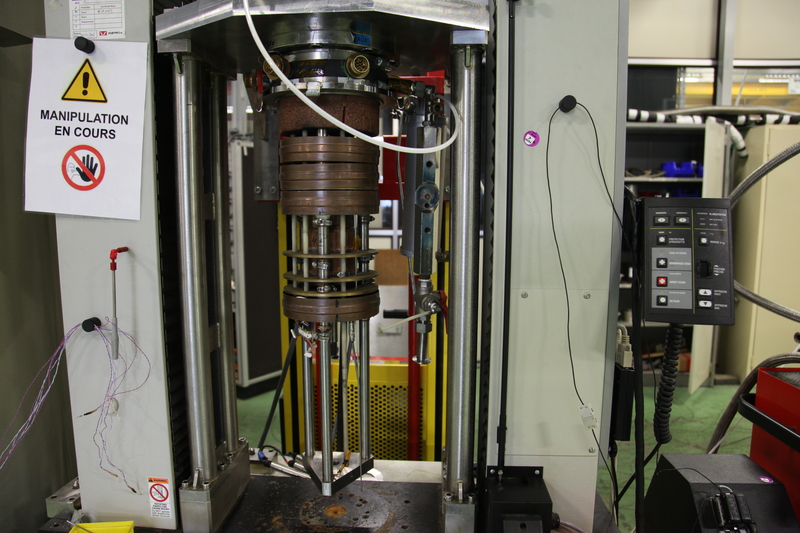 one electromechanical press with a capacity of 150 kN in traction and compression, which can be used with 2 different cryostats for cryogenic tests (77 K or 4.2 K). One cryostat has a capacity of 50 kN in traction or flexion and the other one a capacity of 80 kN in traction and 150 kN in compression. Liquid helium is supplied in dewars. 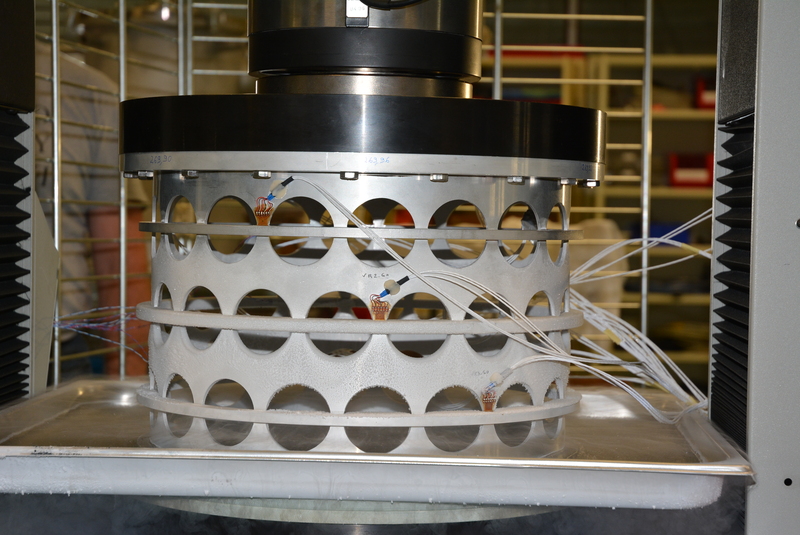 Different types of studies are performed in the mechanical test laboratory: studies aiming at selecting technical solutions, tests of prototype components and R&D studies on the mechanical behavior of materials. Examples of materials which are studied: austenitic stainless steels, aluminium alloys, titanium alloys and composite materials. qualification tests of welding processes. Warming up in the case of a cryogenic test.